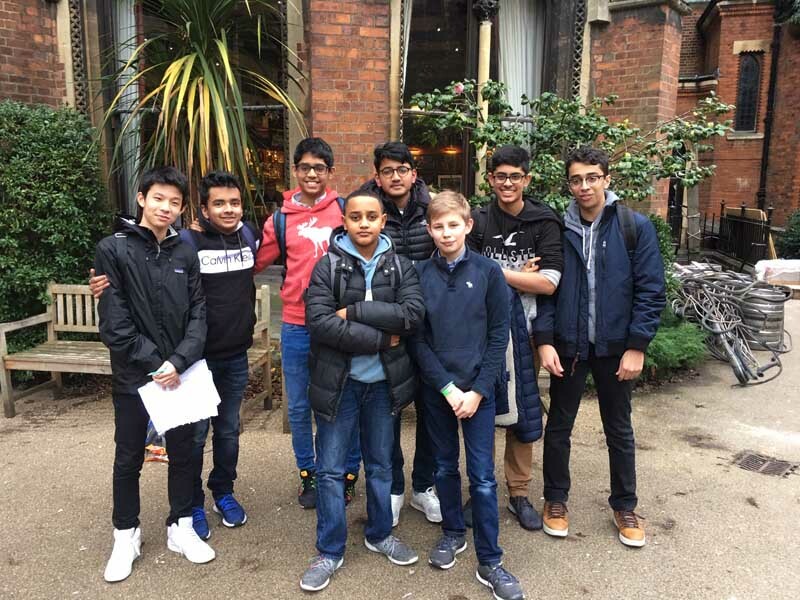 Junior teams from King Edward’s School have enjoyed double success over the last few days in debating and public speaking competitions. On Saturday, 12 January 2019, the Junior Debating teams took part in the International Competition for Young Debaters (ICYD), where at least two of the teams secured a place at Finals Day. Four KES teams of Year 10 pupils competed in the Regional Round held at the Oxford Union, debating topics that included the introduction of a 50% female quota in Parliament and banishing the monarchy. Omar Amin and Nikash Chekuri won each of their three debates to guarantee their place at Finals Day, which will take place at the Cambridge Union in April. They also competed in an additional debate to determine the Regional Champions, a title which was taken by the team from Repton School. Rohan Tandon and Nahom Lemma won two out of their three debates to qualify for the Finals Day, and Tom Hao and Ram Rajesh may also gain a place with their borderline results of second, third and first. Despite being ICYD novices, Ben Wharton and Advait Kuravi rapidly learned their craft to improve across each debate, finishing fourth, second and then first. Six of the eight boys also competed in the first round of the English Speaking Union’s (ESU) Public Speaking Competition, hosted by the English Martyrs’ Catholic School in Leicester on Monday 14 January. Nikash was awarded ‘Best Chairman’ of the evening and, together with his teammates Advait (speaker) and Ben (questioner), took one of the two places available to advance to the Regional Final at Solihull School in February, alongside the team from English Martyrs. Huge congratulations to all of the boys involved in the competitions!